This Web Site is dedicated to Clarence Van Abbema, My Father, who passed away April 1st, 2004. Without his support and encouragement, I would never have had the guts to attempt a project like this. Mark V Designs specialized in classic fuel-efficient power boat disigns for the home builder. 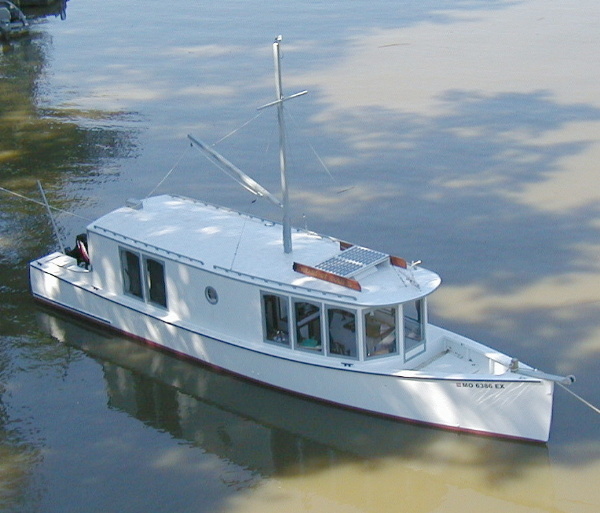 See WoodenBoat #167, page 86, for an article about the Mark V 39. I started building the Mark V 39 in the beginning of August, 2000, and it was launched early September, 2001. My Dad started building the Mark V 20 in October, 2000, and it was launched in November, 2001. 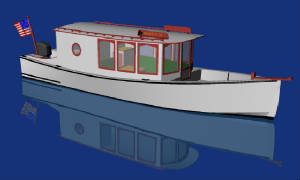 Building plans for both boats are available. The Mark V 28 is a smaller, trailerable version of the Mark V 39. 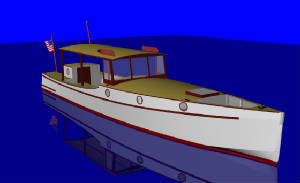 The new Mark V 36 Commuter is a design I submited to the WoodenBoat/Profesional Boatbuilder Design Challenge II compitition. Building plans are now available.